When you quickly need money, or have bad credit, a loan promising "guaranteed approval" sounds like a great deal. In reality, it might be too good to be true, and should instead be considered a red flag. Here's why you need to research and consider your circumstances before applying to any "guaranteed" loans. There are countless listings online advertising ‘guaranteed approval’ on loans for borrowers with bad credit. Alongside saying you are guaranteed a loan, many of the sites state they will not run a credit check and can approve you instantly. All of these are red flags and you should think twice before you apply for or accept one of these offers. The costs associated with these loans almost always outweigh the benefits. When you have bad credit, generally a credit score below 580, you might not be approved for a loan from a traditional lender like a credit union or bank. This can make the promise of guaranteed approval a tempting offer. 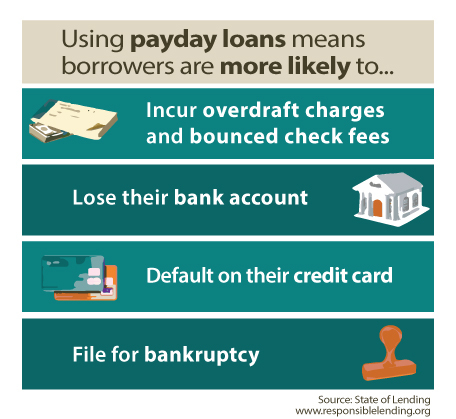 However, these sites are likely to meet some of the traits that define predatory lenders or payday loans. In a 2006 report, the Federal Deposit Insurance Corporation (FDIC) provided characteristics of predatory lenders including “unfair and abusive loan terms” for borrowers. This can include high-interest rates, abusive collection practices, and/or unrealistic repayment terms. A quick look at the “rates and fees” section of top search results for “bad credit loan guaranteed approval” shows that most have triple-digit interest rates, alongside other fees. This means that if you are late, or miss payments, debts and fees can quickly add up. The Center for Responsible Lending is a nonpartisan organization that works to create fair financial opportunities and end deceptive lending practices. According to the Center, 36 percent interest cap rates are a way to stop cycles of debt. With interest rates well above the limit suggested 36 percent, it is easy to see why the center states that borrowers accepting payday loans are more likely to lose their bank account, file for bankruptcy, or default on credit cards. Instead of solving your money issues, “guaranteed approval” loans can create new financial problems by causing you to fall further into debt. On top of that, these lenders usually report to the major credit agencies, just like banks and credit unions. Failure to pay on time can lower your credit score, making it harder to obtain a loan in the future. If you cannot get a loan from a bank or credit union on your own, see if a close relative or friend with good credit will be a co-signer. Peer-to-Peer, or P2P, lending is a relatively new solution that you may want to consider as well. On P2P sites, borrowers are connected with lenders. Since the online platforms are not banks, they are able to use different standards for measuring creditworthiness and take into account factors other than your credit score. The most important thing to remember is that you want to take steps to improve your credit and avoid risky lending practices that will do more harm than good.